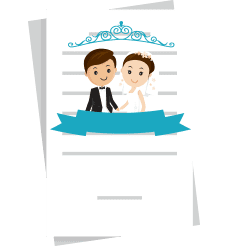 Where to get marriage certificate translation services for cheap? When you need to have your marriage certificate translated to English, you will need to contact a translation agency, see if they offer marriage certificate translation services and start with a quote. You need to know how the procedure is and how much the translation would cost. 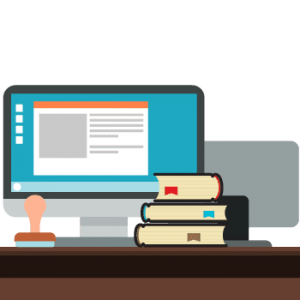 Our price for certified translations is $20 per page if the page has up to 200 words. If there are more words on the page, a price of $0.12 per word will be charged instead. We ensure delivery in 24 hours (could be longer just depending on the availability of the translator and the proofreader). There are different ways to get a quote. You can do that by email, through live chat or through our certified and notarized calculation quote tool which you can try here. When you agree to the quote, the link for payment will be sent to you and after the payment is settled, the project manager will start finding the right translator and the right proofreader for your translation. This is all conducted through our special translation project management system. You will be informed of every step of your translation. After the translation is done, you will receive the certification stamped and signed together with your translation. That is it. Simple and fast and at the most competitive price you’ll find on the Planet. 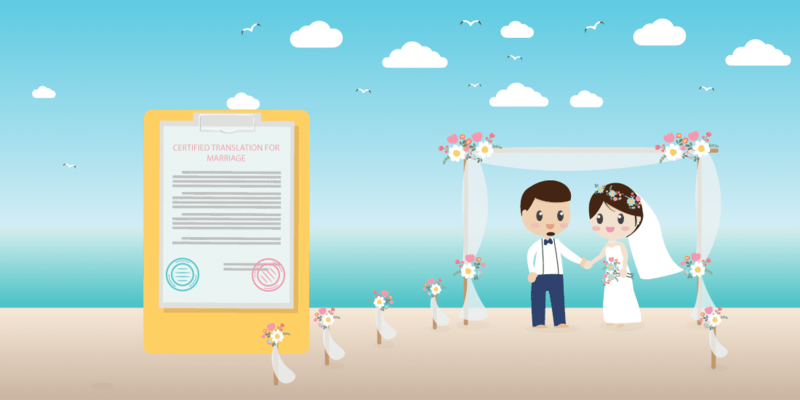 We have a live connection with over 3,000 professional translators which allows us to translate marriage certificates or any other documents from over 120 languages into English fast and accurately. Universal Translation Services is an ISO certified company, which means we abide by the highest standards of quality. We are also members of the ATA. With us, you only get high quality translations! Your documents are safe with us as we maintain 100% confidentiality and request all our translators to sign a Non Disclosure Agreement before sending them any documents to translate. We deliver within 24 hours! Most of our certified translations are delivered to you by e-mail in 24 hours, depending on the availability of our translators and the source language. Universal Translation Services has translated thousands of marriage certificates in the past years. We know exactly what USCIS is requiring and we follow their strict regulations. We have a 100% acceptance rate for all our USCIS certified translations. A lot of government institutions require documents such as marriage certificates to be translated for different purposes, including for immigration (USCIS) and possible for travel. Also, many embassies require having your marriage certificate translated for citizenship purposes. Whenever you need to have your marriage certificate translated to English, get in touch with us. We are online at any time, but if you don’t want to order online, you can come see us in person at our translation offices in Miami and Aventura. Getting a quote or answers to your questions is easy, a project manager will be here to guide you at any time, including during the weekend. You can use the live-chat feature on our website at the time of your choosing. The translation is carried out by professional translators and editors who are well aware of the legal requirements. Once done, the translation will look exactly like your original certificate, only translated, which you will receive by email along with our certificate of accuracy. We guarantee that the translation is going to be accepted 100 percent as we know what we are doing! 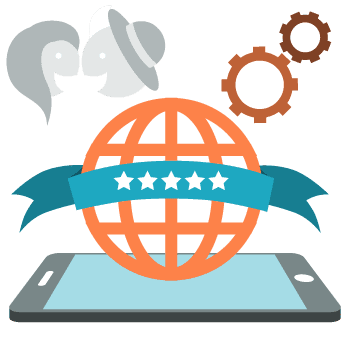 Every day our customers rely on our translation services and they are happy with our work, which you can see from the reviews we are getting. We also have the lowest rates you can find. 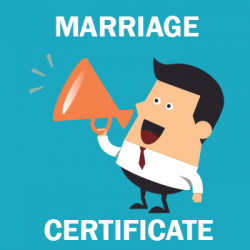 If you need to use our marriage certificate translation services, it will cost you only $20 per page, if the page is under 200 words, and most certificates are like that. Get in touch and have your marriage certificate translated to English in 24 hours or less! Due to general demand, we have added a marriage certificate translation sample so you could see how your translation will look like (click the image to see it in full size). Please note, this is just an example, as each country has its own template for birth certificates. As soon as we have received all of the relevant documents, the best-suitable translator will be assigned to your project. 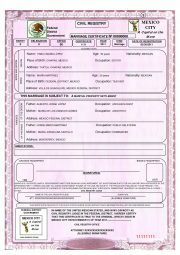 All you have to do is to send us a picture of our marriage certificate and we will transform it into an editable format to start with the procedure. Afterwards, our project manager will send you a final draft of translation to confirm dates and names. Once everything has been confirmed from your end, the document will be certified according to the USCIS rules. Furthermore, each of our immigration translations comes with guaranteed acceptance at any Immigration Office in the US so that our customers do not have to overcome any problems in the future. Is there a marriage certificate translation template I could use? Personal documents are different from country to country. 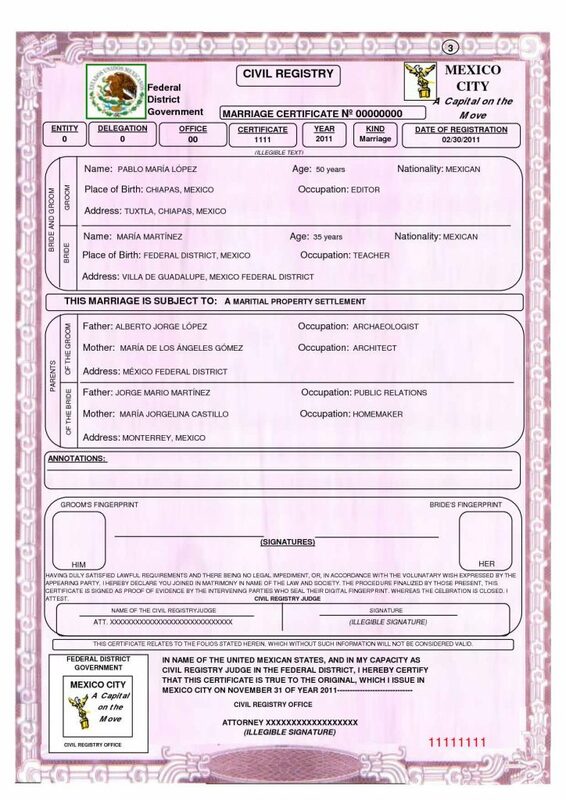 A birth or marriage certificate issued in Spain will not look the same as one issued in Germany or in the United States. 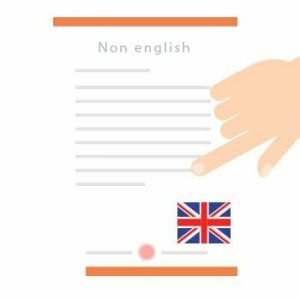 There is no such thing as a marriage certificate translation template to speak of, and you will not be able to use one if you want a friend to do the translation for you. What we do is we use your original document as a template. You send us an image of your marriage certificate, or a pdf file. We use specialized software to transform the image into an editable format, then extract the text from it and have it translated. Once the translation is done, we add the text back into the marriage certificate translation template we obtained in the first step, and save it as a pdf file. So, the translation you get from us will look like your original, obviously, translated. Another document called the certificate of accuracy will be sent to you as well. You can send the two documents to USCIS by email, or you can print them out and hand them over in person. Both ways will be accepted, and our translations are done to their standard, so you will not have issues with your documents being rejected. 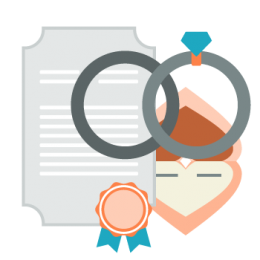 Take advantage of our marriage certificate translation services and get guaranteed translations at the lowest rates in the US, in 24 hours or less. We have professional translators for just about any language so we are able to accommodate any need. Get in touch for your free quote now! Translation of legal documents such as marriage certificates, immigration papers and educational records requires a high level of accuracy and reliability. As they are supposed to be attached along with other legal documents to proceed with your case, a minor mistake or error can lead to unwanted delays. Marriage certificate translation services are required when forwarding your case for immigration into the US for which choosing a reliable translation agency is beneficial. Universal Translation Services has employed professional translators having years of experience in the translation of non-English documents. For immigration into the United States, applicants are required to submit a certified translation of their marriage certificates along with other documents. We guarantee the accuracy and originality of our translations and you can get a free quote through our helpline and get reliable services at lower rates. Our immigration translation solutions are reliable, accurate and are done as per the standards set by USCIS. Universal Translation Services is known for providing translations having 100 percent acceptance rate. For the support of our valued customers, we have also placed a sample of marriage certificate translation, which can help them in learning more about the whole procedure. 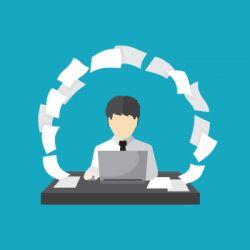 As each country has a unique template for birth, marriage and other legal certificates, you can talk with our project managers to learn more about what we can do for you. Where can I get my marriage certificate translated? Although in theory anyone knowing the source language and English could translate a marriage certificate, it is best to use a professional translator or a translation company to get certified translation from. Mistakes in translation or in the certificate of accuracy may lead to having your translation rejected by the institution you are sending it to. The definition of a certified translator depends entirely on the country you are in, as each has its own rules, except for the US and the UK, which don’t regulate the activity of translators. In the United States there is no such thing as a certified translator, or one doesn’t have to be a certified translator in order to provide certified translation for a marriage certificate for example. Although USCIS does not specify anything about this, it is best that you get your translation done by a company instead of a freelancer as the company would surely know more about the USCIS requirements and would be able to provide the translation in the right format so it would be accepted my the immigration office. Can a notary translate a document? A notary isn’t permitted to use their office as notary public to verify the correctness of a translation of a document. They may not act as a notary public and as a translator at the same time on the same document. So, a notary public may serve as a translator if he knows the languages; however, a notary may not notarize their own translation. If you need notarized translation we can help you with that too. One of the routes is to follow a post-secondary degree in translation offered by a University. Get a professional certificate in translation from any other agency in your country. You can also choose a particular field and seek a certification in translation for that area. In any case, all universities and organizations have their requirements to get enrolled and most of the times they require a bachelor degree or previous working experience. By visiting them or going to their website you can more information that might help you understand the process and choose the best option for you. If you are in the US, you can read more about how to become a certified translator here. As a translation service provider, Universal Translation Services has always been keen on supplementing the best quality translation services to our customers worldwide. Yet another thing, on which we emphasize as an enterprise, is customer care and satisfaction. And how would our customers be happy if they have to be apart from the love of their life? So instead, we make it possible for them through our marriage certificate translation services. As in when they are applying for immigration in the US, we ensure that their marriage certificate is translated to English even if it was in Arabic or Chinese originally. We call this staying ahead of the task, and we advise our dearest customers to not jeopardize their emotional well-being while making such an important decision of their life and keep their marriage certificate translated to English in advance. Getting your marriage certificate translated to English is not as easy as it seems. The translation in itself may be easy, but the work involved in having the translation looking like the original takes time. While we have specialized employees in doing that, if you think of doing the translation on your own, you will not be able to make it as required, and may be rejected by the USCIS. Use our marriage certificate translation services and put your worries away.